If we did not know better we might suppose that every man who saw Jesus felt drawn to Him. The Lord Jesus was pure and holy. His words were wise and true. His deeds were morally blameless and visibly marvelous. Everything about Jesus - all that He said and all that He did was attractive. Or so it might seem. built, in order to throw Him down the cliff' (vv 28,29). They did not find Jesus attractive for long! How do we account for this? Christians have always explained this by saying that men are sinful, that they are depraved. No one who reads and believes his Bible can doubt that this is the true explanation. The natural man does not want Christ; he wants himself. In other words, there is a moral obstacle that prevents men from believing in Christ. First, that moral obstacle must be overcome. Many Christians, however, think that a simple decision can set this barrier aside. 'It is true', they say, 'that man is depraved. It is true that he cannot save himself or change himself into a godly man. But he can do one thing. He can turn to God and Christ for help. And in fact that is all that he must do'. Certainly we can feel the appeal of this idea. It attempts to guard the truth that man is depraved without closing the door against his salvation. In thi s view man is too sick from sin to do anything except the one thing needful. He is too sick to do anything except turn to the Great Physician. But is this view of the matter biblical? The trouble with this view is that it separates man's decision from all else that the man is and does. And it does it in a way that the Scripture forbids. Let me show you what I mean, from the words of Jesus Himself. Notice what the Lord does here. He ties believing to other moral acts, and He says that you cannot have the one without the other. He tells these men that they must give up seeking glory from one another before they will be able to believe. In fact, He goes a step further. He tells them that they will not be able to believe until they seek glory or honor from God. There is no such thing, the Lord is saying, as an isolated act of believing. Men must become different from what they are or they cannot believe. Him. These men were not morally changed and so they could not come. That is what the Lord Jesus was telling them. And that raises an important, an all-important, question. Who could bring about the necessary change in these men so that they could believe? Could they change themselves? Or would it require the work of God? You will see that the view that man can do only one thing, namely, turn to Christ, cannot be true. Either he can do enough to change himself in several ways or he cannot come to Christ. In the Lord Jesus' view 'believing' is part of a larger package. There are more things to be done in the man than an act of faith. I do not know how many things a man must be able to do in order to believe. But more than two are needed. Several changes must take place in the man so that he may come to Christ. Let me mention another: a man's ignorance must be overcome. Now I imagine that someone may read this and say to himself that I have changed my ground. I was talking about moral hindrances to faith. Suddenly I have switched to a hindrance of another kind. Surely ignorance is not a moral issue, is it? The answer is: that depends! Certainly some ignorance is not a moral issue. No man, for instance, can be expected to believe in Christ if he has never heard of Him. It is not immoral to be ignorant in that way. I do not mean to suggest that it is. That is not a moral issue. they are blind guides of the blind. And if a blind man guides a blind man, both will fall into a pit. At first glance it is difficult to understand these words of Christ. Surely this is not an example of gross callousness on His part! Such an attitude is unthinkable. But if it is not that, what is it? How can Jesus treat these men's ignorance in the way He does? The answer is not hard to find. In fact, you have probably read these words of the Lord Jesus before and felt no shock at them. Why? Because you sensed that this was not a mere observation on His part. It was much more than that! It was an indictment. In other words, it is clear that the Lord treated the ignorance of these men as blameworthy. With Him ignorance is often a moral issue. Jesus condemns these men because they should have known the truth, and they did not. 'If any man is willing to do His will, he shall know of the teaching, whether it is of God' (v 17). We are agreed on the value of listening carefully if we want to know the truth. But that is not enough, for it is not the key issue. Instead, Jesus tells us, a man needs a responsive heart, a heart responsive to God. A man must desire to do God's will. Then he will know whether he is hearing the truth or not. In other words, ignorance here is a moral issue. It is a moral condition, a condition of the heart. Change the heart and the man will know the truth! 'Why do you not understand what I am saying? It is because you cannot hear My word. father of lies. But because I speak the truth, you do not believe Me'. 1) The Lord is not simply making an observation. No one can read these words without seeing that He holds these men to be guilty as well as ignorant. 2) The Lord sees their problem as complex. He says that they cannot hear His word. That, of course, is very serious. But He says more. He tells these men that they have a basic problem with their desires. They 'want to do' the will of the devil. So their desires must be changed. But even that is not all! Behind their desires lies another fact: their father is the devil. It is not, then, purely a matter of changing their desires. They must have a new father with all that that might imply. 3) The result of their state is this: 'Because I speak the truth, you do not believe Me (the Lord)'. Surely this is one of the saddest statements in the whole of Scripture! What keeps them from believing that which Jesus is saying? It is the fact that He is telling the truth that hinders them. What a dismal condition they are in! Yet these are people who, in some sense, already believed in Him. John's Gospel makes that clear in verses 30 and 31. Could anything worse be said of men who made no profession of believing in the Lord Jesus Christ at all? understand the truth. And if he cannot understand the truth he will never turn to Christ in faith. 5) understand the basic elements of the truth. I have tried to show that faith has a moral basis; in other words, it must arise from the heart of a morally changed man. The Scripture sets this out very clearly, so that I might simply stop here. But two questions naturally follow from what I have said. The first is this: can we be sure that the sinner has no power to make all these essential changes? And the second question arises out of the first: if he has no such power, how can any man be saved? Let us look at these questions in the order in which I have given them. I have already said that the answer to the first question lies in the biblical view of depravity. Just what is that view? Does it leave the sinner helpless or not? The question is of vast importance. There is not even one [Rom 3.10-12]'. the natural man has no power to do these things. That is why no natural man does them. The Words of the Lord Jesus The Words of Paul 'How can you believe, when you receive glory from one another, and you do not seek the glory that is from the one and only God? Why do you not understand what I am saying? It is because you cannot hear My word. There is none who seeks for God. There is none who understands. Can anything be plainer than this? The Lord Jesus and Paul are in full agreement: the natural man cannot and will not understand God, or seek after Him. But let us pursue this matter further. What lies behind the natural man's inability? Why can't he understand? Why can't he seek God? He understands many other things. He frequently seeks out other people and attaches himself to them. In some areas he seems to have the ability to seek and to find in abundance. Why not here? The Bible's answer to man's inability is simple: the natural man hates God. The problem is man's disposition. Give him a new disposition and he will both understand and seek God. But as he is, he loves darkness, not light; he loves self, not God. Though this may seem strange to us, it is true. We have settled into a way of thinking that is quite false. We tend to reject the fact that men either love God or hate Him. We think of most men as falling somewhere in between these two extremes. We think of them as more or less neutral. That is our mistake. We have not taken this attitude from God's Word. The Bible sees the natural man in a different light. It sees him as an enemy of God. 'He who is not with Me is against Me; and he who does not gather with Me scatters' [Matt 12:30]. We may have read these words many times, but have we listened to them? What do they mean? They do not mean that men must be in the physical presence of the Lord Jesus. The disciples once made that mistake and the Lord rebuked them for it [see Mark 9.3840]. They mean that men must be with the Lord Jesus morally. Their hearts must be disposed to follow His leading. They must love godliness as He does. Where that is not the case, they are 'against Him'; they hate His authority. But is not 'hate' too strong a word? The Lord did not think so. He used it freely to describe those who do not submit themselves to God. 'No one', the Lord Jesus says, 'can serve two masters' [Man 6.24]. And why not? 'For either he will hate the one and love the other, or he will hold to the one and despise the other. You cannot serve God and mammon'. God is hated and despised when men do not serve Him. The whole world of natural men hates the Lord Jesus. 'If the world hates you', Jesus said, 'you know that it hated Me before it hated you' (John 15.18]. 'If I had not done among them the works which no one else did, they would not have sin; but now they have both seen and hated Me and My Father' (John 15.24]. It is clear that the Lord Jesus did not think that 'hate' was too strong a word to describe the natural man's attitude towards God. But what kind of man hates God? Does a morally pure, holy, and righteous man hate God? No, it is impossible! A man who hates God is corrupt, unholy, and impure. A man who hates God has an antipathy to all that God is in His moral character. That is the kind of man who hates God. And where can we find such a man? The Lord tells us that such men are to be found on every hand. I came into the world like that! And so did you! In fact, apart from the grace of God, ever since man's Fall into sin as described in the early pages of Scripture, that is the only kind of man that there could be. Man's hatred of God, then, lies behind his ignorance. That is an important fact. Yet how often we have thought the opposite! We have said, 'If men only knew God, if they only knew Christ, they would love them!' Yet the Scripture teaches that what men know of God and of Christ leads them to hatred, not to love. In other words, man's first problem is not ignorance. It is true that men are ignorant. There is much more that they could know about God and about Christ. But they will never learn these things unless their hatred is removed. Their ignorance is blameable. It comes from their bias. They have no sympathy with the revealed character of God. They need a new mind. They need a new attitude. They need a new disposition. They need a new heart. Without these things their ignorance will remain. 'The mind set on the flesh is hostile toward God; for it does not subject itself to the law of God, for it is not even able to do so; and those who are in the flesh cannot please God' [Rom 8.7,8]. Let us look back for a minute. First, we have seen that the Bible teaches that faith has a moral basis. That is, faith arises out of a man's moral state. Faith may never be divorced from what a man is and does. If a man, for instance, seeks approval and honor from other men before approval and honor from God, he cannot exercise faith. 'A natural man does not accept the things of the Spirit of God; for they are foolishness to him, and he cannot understand them' [I Cor 2.l4]. The sum of the Bible's teaching is this: the natural man is without power to change himself. For that reason, left to himself, he cannot and will not turn to God and Christ in faith. These are sobering facts. As we saw, they lead to a final question. That question is: How can any man be saved? Isn't the whole thing hopeless? Won't this teaching of Scripture lead us to despair? Let us see. endures to eternal life, which the Son of Man shall give to you, for on Him the Father, even God, has set His seal." They said therefore to Him, "What shall we do, that we may work the works of God?" believe You? What work do You perform? Our fathers ate manna in the wilderness; as it is written, 'He gave them bread out of heaven to eat.'" Jesus therefore said to them, "Truly, truly, I say to you, it is not Moses who has given you the bread out of heaven, but it is My Father who gives you the true bread out of heaven. For the bread of God is that which comes down out of heaven, and gives life to the world." They said therefore to Him, "Lord, evermore give us this bread." Jesus said to them, "I am the bread of life; he who comes to Me shall not hunger, and he who believes in Me shall never thirst. But I said to you, that you have seen Me, and yet do not believe" '[John 6.25-36]. To this point I have quoted just enough to give us the feeling of hopelessness. It comes out in several ways. 1) The Lord Jesus tells these people plainly why they have sought Him out. They sought Him to have their bellies filled again. They had witnessed a miracle of giant proportions, the feeding of five thousand men, plus women and children. And how did they respond? They responded by thinking how good it would be to get their food this way all the time. The Lord tells them that the miracle was a sign. It was a pointer to turn their attention to Himself. But they missed the sign. Instead of focusing on Him, they think of their own stomachs. Their god is their belly! If men who had seen Jesus miraculously feed five thousand would not pay attention to Him, who would? We are meant to feel the hopelessness of the situation. respond now? By demanding a sign! Think of it! Can you avoid feeling exasperated? The Lord Jesus does not seem vexed, but patiently goes on to reason with them. Yet what could be more hopeless than the demand of these men to see a sign? They had seen one of the greatest signs in history. 3) Finally the Lord Jesus offers them bread that will give them life. 'Lord', they reply, 'evermore give us this bread'. Surely here they have broken out of their bonds of ignorance and unbelief. But, no! Jesus explains that He Himself is the bread of life. He does not, however, wait for their positive response. He does not expect it. 'All that the Father gives Me shall come to Me, and the one who comes to Me I will certainly not cast out' (John 6.37]. Here is the Lord's own solution to the dilemma of the natural man. Later He will expand on it. Now, however, let us look at it in isolation from His later words. Let us see how it fits the preceding context. It is plain, the Lord Jesus is saying, that you want your bellies filled. And your bellies have kept you from seeing My glory. It is also true that you will not please .God by turning to Me. It is true that you are without faith, and will not and cannot change yourselves. All of that is true. But there is another truth. That truth is this: My Father is giving some men to Me. The hopelessness of human nature cannot defeat My Father. Every one that the Father gives Me shall come to Me, and when he comes I will not turn him away. That is where My hope lies. Not in human nature, but in My Father! What does this mean? We are not left to wonder. The. Lord Jesus goes on to say: 'Do not grumble among yourselves. No one can come to Me, unless the Father who sent Me draws him; and I will raise him up on the last day. It is written in the prophets, "And they shall all be taught of God". Everyone who has heard and learned from the Father, comes to Me' (John 6.4345]. In a word, the Father will overcome some men's ignorance, and all that lies behind it, so that they will turn to Christ. It is the Father who makes the moral change in men that leads them to the Savior. That is Jesus' position. Let us take a closer look at it. First, Jesus confirms the hopelessness of human nature. 'No man can come to Me', He says. Then He adds the word 'unless'. We must not misunderstand that word. It does not introduce a condition that man can fulfill. It does not suggest that fallen human nature can do some little (or big) thing. No man can come, unless the Father does something. Human nature cannot do it. God must do it. God must draw men, Jesus says, or they cannot come to Him. Next, Jesus tells us how the Father draws men. He draws them by teaching them. When they have learned from Him they turn to Christ. Many men perish. But those whom God teaches have their bias and ignorance overcome. In that way God draws them to Christ. And, so, they are saved. Jesus promises to raise them up on the last day. He promises them eternal life. But you may say, doesn't God draw and teach all men? Wouldn't it be fair to say that God may teach a man, but whether that man learns is a different matter? Perhaps God draws, but men refuse. Does Jesus leave that possibility open here? Or is Jesus speaking of effective drawing and teaching in this passage? 'If only you had paid attention to My commandments! your righteousness like the waves of the sea' (Isa. 48.18]. God had given good teaching but there was no response from the hearers. He had given His commandments, but men did not keep them. great. In righteousness you will be established' (Isa. 54.13, 14]. In the first column, all is failure and cause for regret. God had taught the people by His commandments, but He had not changed their hearts. Now, however, He speaks of a new covenant. In this covenant failure will be banished. Regret will have no place. All who are taught will learn; their well-being will be assured; they will be righteous before the Lord. The teaching will not simply be outward. It will be inward, changing the heart and removing the bias, so that the natural man's ignorance will be overcome. My ordinances' [Ezek 36.26, 27]. telling these Jews that the time of the new covenant has come. But at the very least He is speaking of a work of God that makes men learn. In the Lord's view, those who hear and learn from the Father are precisely those whom the Father has taught, no more and no less. And we have seen already what keeps men from learning. It is their moral state. So Jesus is telling these men that His hope does not lie in them. It does not lie in the 'natural man'. His hope for success is fixed absolutely and solely on His Father. He knows that, apart from His Father's work in renewing men's wills so that they come to Him, His preaching would fall on deaf ears and unresponsive hearts. But His Father will change some men and give them as gifts to His Son. They will come to Him. So, despite His hearers' initial hardness of heart, His preaching of the gospel will succeed. Here, then, is the answer to the question: How can any man be saved? It is precisely the same answer the disciples received from the Lord Jesus when they asked, 'Who then can be saved?' It ran, 'The things that are impossible with men are possible with God' [Luke 18.26, 27]. It is impossible for men to be saved. It is impossible, that is, unless God comes into action. He must intervene, not simply in history as He did at the cross, but in men's individual lives. Only then can they hear and learn. Otherwise they remain in their blindness and are lost forever. Faith has a moral basis. It is not an isolated action of the mind. As with unbelief, it has its roots in what a man is. This is what Scripture teaches. We shall expect, then, to find moral appeals to the sinner when we open our Bibles. And we do not look for them in vain. The lost man is told to believe. Furthermore, he is also told to turn from his sin. He is told to change his ways. He is told to repent. The sinner is not left to think that a bare notion about the truth of the gospel will save him. Not at all! He must be a changed man if he is to experience the mercy of God. For He will abundantly pardon' [Isa. 55.6, 7]. for a complete turnabout. Then, and only then, he promises the sinner compassion and an abundant pardon. We find a similar appeal in the New Testament. We hear a ruler ask the Lord Jesus, 'What shall I do to inherit eternal life?' How does the Lord answer him? By painting him to God's commandments. When the man claims to have kept the commandments, the Lord probes deeper. 'Sell all that you possess', the Lord Jesus says, 'and distribute it to the poor' [Luke 18.22]. Did Jesus offer this man salvation by works? Not at all! He simply told him that there is no salvation without a godly moral base. Men who love their possessions more than they love the Lord know nothing of salvation. Just as Isaiah had said years before, this man would have to forsake his way to have eternal life. 'You have no pan or portion in this matter, for your heart is not right before God' [Acts 8.21]. Simon's profession meant nothing. He was still 'in the gall of bitterness and in the bandage of iniquity' (8.23). 'Therefore repent of this wickedness of yours, and pray the Lord that, if possible, the intention of your heart may be forgiven you' (8.22). The question is sometimes asked, 'Must Christ be Lord to be Savior?' Must one commit oneself to Christ as Lord at the outset of the Christian life? Is it not enough to trust Christ as Savior? Doesn't the Christian later commit himself to Christ as the ruler of his life? I did not ask this question when I started to write this booklet. Yet you will see, I think, that along the way we have discovered the answer. If faith has no moral basis, if it is a solitary action of the mind, then it may exist without commitment to Christ. But, in fact, faith is part of commitment to Christ. 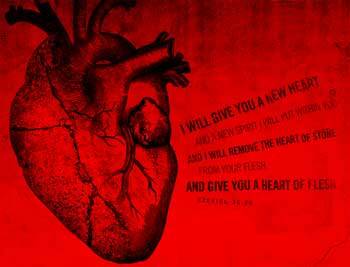 When God creates a new man, that man receives Christ wholeheartedly. He receives Christ for all that Christ is. He gives himself to Christ. He does these things because he is a new creation. The stony heart has been taken out of him. In its place God has put 'a heart of flesh', a heart of responsiveness to God. Of course, the new Christian does not know all that this means. Neither do you nor I. We do not know what Christ's Lordship over us will demand tomorrow or next week. And we do not know how we shall meet the challenges God puts before us. If Christ were Lord over perfect men only, then we could predict their responses. They would always do right. They would never sin. But Christ is Lord over imperfect men. These men characteristically do what is fight, but not perfectly. Christ asserts His Lordship over His people, but He has not yet perfected them. Every Christian, no matter how dedicated he is, may fall into sin. But he will usually succeed in avoiding sin. He will usually adorn the name 'servant of God'. He will do this because Christ is his Lord, and he has a heart to serve Him and to keep His commandments. The burning moral issue before each man is this: what will you do with Jesus who is called the Christ? No other question ranks with this one in importance for the soul. No other question ranks with this one in importance for your soul. May I ask how you have answered it? Have you said from the heart, 'My Lord and my God!' as Thomas did? A day is coming when those who have thought that they had plenty of time to face this question will find that time has run out. I pray that time shall not run out for you. If you have not turned to Christ, do so immediately. God commands you to turn. Do not delay! But one of you may say, 'Must I not wait for a new heart has been taken out of him. In its place God has put 'a heart of flesh', a heart of responsiveness to God. But Christ is Lord over imperfect men. These men characteristically do what is right, but not perfectly. Christ asserts His Lordship over His people, but He has not yet perfected them. Every Christian, no matter how dedicated he is, may fall into sin. But he will usually succeed in avoiding sin. He will usually adorn the name 'servant of God'. He will do this because Christ is his Lord, and he has a heart to serve Him and to keep His commandments. May I ask how you have answered it? Have you said from the heart, 'My Lord and my God!' as Thomas did? A day is coming when those who have thought that they had plenty of time to face this question will find that time has run out. I pray that time shall not run out for you. If you have not turned to Christ, do so immediate ly. God commands you to turn. Do not delay! But one of you may say, 'Must I not wait for a new heart before I dare believe in Jesus Christ? Isn't that necessary? Christ. And commitment to Him is what you must have to be saved! Turn to Him and live! And when you have turned, give God the glory, for it is He who gives men the heart to turn to Christ. Finally, let me ask one more question. Do you witness for Christ? Is it your prayer that God would give you some soul as the reward for your bearing witness? I hope that is your prayer. And if it is, do not think that you can do the work. Do not think the sinner can do it. Both you and he are helpless apart from the work of God. Yet be encouraged! God has determined to take a vast number of people for Himself out of this 'present evil world'. Someone must tell each of His elect about Christ. And in the telling God will work to bring each of them home to Himself. If it is true that we cannot convert a single soul, it is also true that God has determined to convert millions. And, for the most part, He will do it through us, His people. We need, then, to take heart. We need to go about the work buoyantly. In the words of William Carey, we need to 'expect great things from God' and to 'attempt great things for God!' Who knows but that we were born into the world for such a time as this?